Compatible Brother Drum Unit, 12,000 page yield. Replaces Brother part number: DR420. Drum Unit compatible with Brother 2840, 2940, DCP-7060D, DCP-7065DN, HL-2130, HL-2132, HL-2220, HL-2230, HL-2240, HL-2242, HL-2250DN, HL-2270DW, HL-2275DW, HL-2280DW, MFC-7240, MFC-7360N, MFC-7365DN, MFC-7460DN, MFC-7860DW. I print a lot so I need to replace my drum often. They can be very expensive elsewhere, but not here. Great price and great value. I have been using this for almost a year and it works like the original. I will buy it again when I need to replace it because the value is right. I have "never" had any problem with the drum units I have purchased from Ink Technologies. No problem = no brainer! No problems with quality so far. Delivery comes on time. This is a quality product. It arrived in a timely fashion. I would definitely consider buying another. Price was a lot more reasonable than other places I worked with. Great product, great service. I always go back to Ink Technologies for my printer needs. Great return on our ink and toner purchases. Have recommended Ink Technologies products to several colleagues. I found the ease of purchase and the price were the determining factors in my purchase and I'd do again. This product completes what I need at a reasonable cost value. I have purchased many different products from them. Quick, accurate delivery. Product always works as promised- super company. Product works like a champ. Perfect copy of original!! Great product for the price. Will never pay full price again at the big box office stores. I'm very happy with prices and product quality. Great product, works great, will recommend to friends. I have no complaints. It arrived on time and lasted for a long time. No problems so far and I have used it for about 6,500 pages. It fits just as good as a genuine Brother drum unit. I would recommend this to everyone because of the ease of ordering, the prices, how quickly the products arrive, but the quality of the products is great. Great Product, delivered very timely and always works well. I have purchased these before and will be back again. Product works just as good as the brand name. No issues with this product. Great products each time I have ordered and get high yield out of them. Great value! Works just as it should but for much less than the brand name. Excellent value, lowest priced drum on the internet. Not to mention the fast shipping! Compatible Brother Toner Cartridge, Black, High Capacity 2,600 page yield. Replaces Brother part number: TN450, TN420. 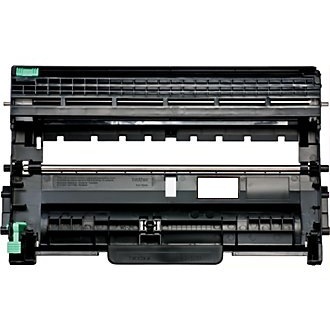 Laser Toner Cartridge compatible with Brother 2840, 2940, DCP-7060D, DCP-7065DN, HL-2130, HL-2132, HL-2220, HL-2230, HL-2240, HL-2242, HL-2250DN, HL-2270DW, HL-2275DW, HL-2280DW, MFC-7240, MFC-7360N, MFC-7365DN, MFC-7460DN, MFC-7860DW.